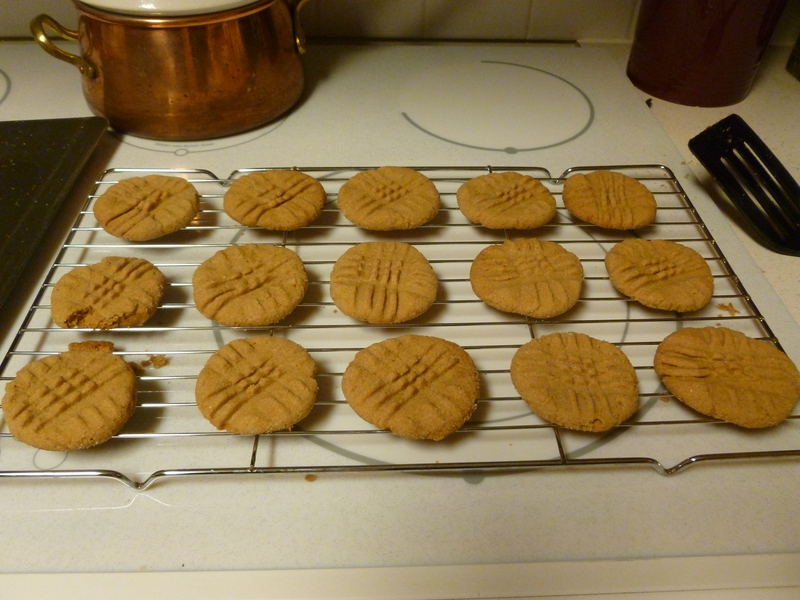 The Easiest Peanut Butter Cookies Ever!! At work we have food days every so often and this past Wednesday we had one for Administrative Assistants Day – because ours is awesome!! School would not run without her. Anyway, I decided to make a Hummingbird Cake. Unfortunately I took it out too early and it caved. You know what I mean. So I decided I would also make cookies. I found these cookies on food.com. 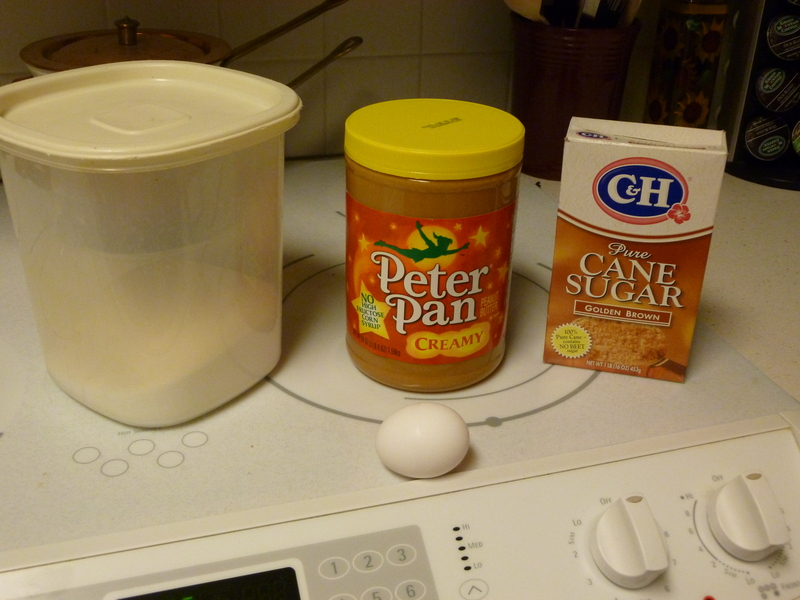 It just calls for peanut butter, sugar and an egg. I thought it needed something other than plain white sugar. 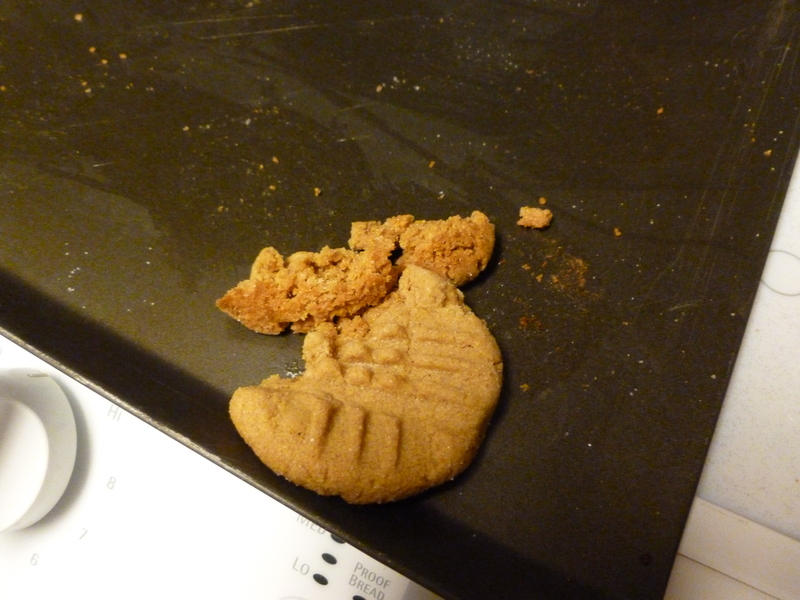 Plus I can’t imagine a peanut cookie without … brown sugar of course! I then used a fork and mixed it all together. I kept wondering if this was going to work. Finally I took a small amount, rolled it into a ball and then rolled it in additional white sugar. I cooked it at 350 for about 12 minutes. And guess what? It worked! … then you have to eat it. I know, it’s a shame. I got 22 cookies out of the recipe. Took it to work and brought home an empty container! Always a good sign. They are definitely sweet and go great with a glass a milk. If you try them, let me know how they turned out for you. hope you like them too! When I was in college, too many years ago, I knew a woman from India. She was a student and was living with her aunt and uncle. Her uncle was a professor at Oklahoma State. I never had him, he was a math professor and I was not a math person at all! I took college algebra and that was it. As a teacher, stats was required but I found a class that met the requirement but was not a complete stats course. It was much easier and my brain did not explode as it may have if I had to take stats. But I digress. 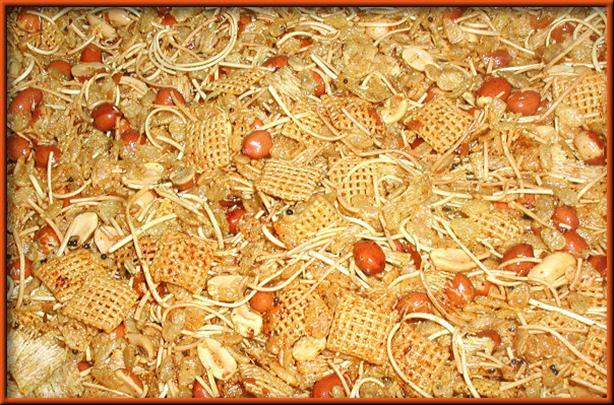 I started this post to tell you about the India Snack Mix recipe I got from my Indian friend. Her aunt created the recipe based on a recipe from India but it used product she could find in the U.S. such as corn chex. It is soooooo good and I make it for my classes during Discover Languages Month in February. The kids always love it and ask for the recipe. It does have one ingredient, hing, that I have never included because I haven’t found it in the small town stores I shop. However, with Internet shopping, I can buy it online. I’ll have to do that. If you try it, let me know if you liked it (or not). 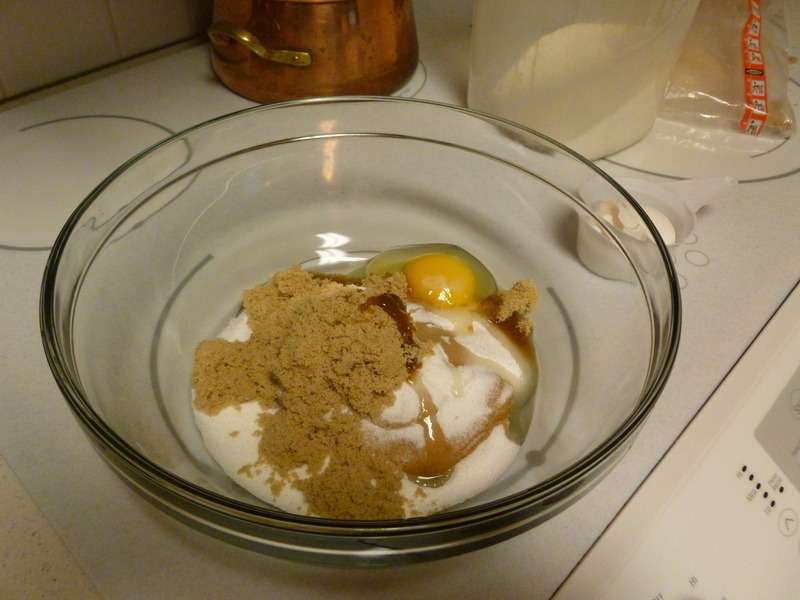 The picture is one that someone took and posted on my recipe on Food.com. Chex Mix with a kick! In a large bowl, mix cereals together. Do not mix in noodles. Heat oil in a large skillet. Fry mustard seeds and cumin seeds well. Add noodles and heat for approximately 2 minutes. Add other spices and mix well. 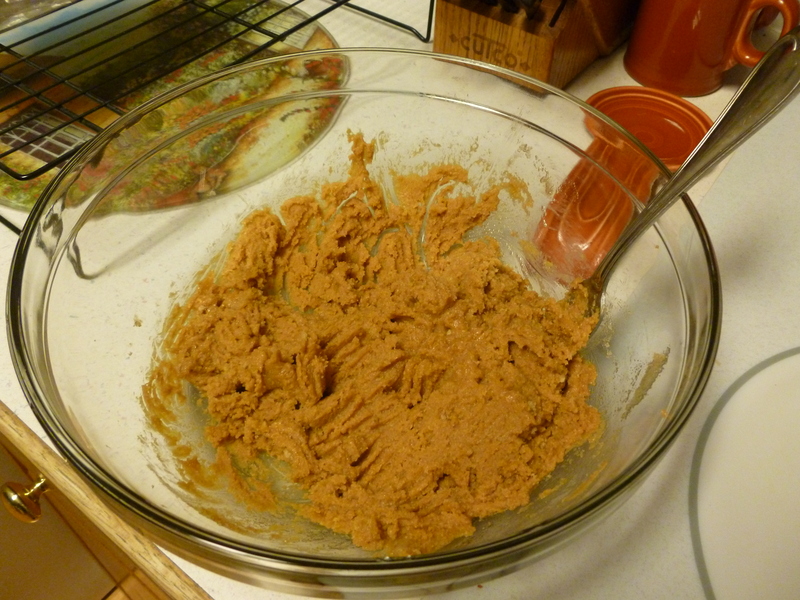 Mix in peanuts. Add two handfuls of the cereal mix and mix well. Add oil mix to remaining cereal mix in bowl and stir well. Place in baking dish and cook in 250 degree oven for 25 – 30 minutes. Serve in individual bowls. For each serving, stir in 1 tablespoon chopped onions and 1 tablespoon lemon juice, more or less to taste. You can also add more red pepper if you like foods that are EXTREMELY hot. Serve with something cold to drink.